I don’t think I’ve ever come across someone who doesn’t like music. Some artists create music that you listen to maybe four or more times and get bored. 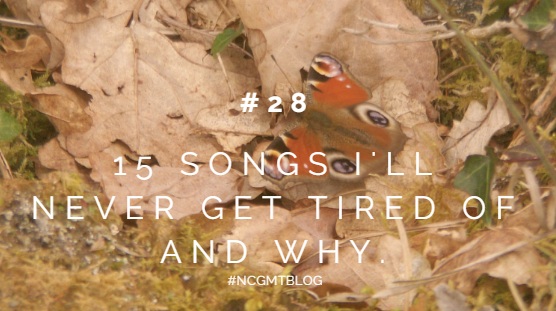 Or those songs that are played constantly over and over until you switch radio station because you can’t stand the sound of them. 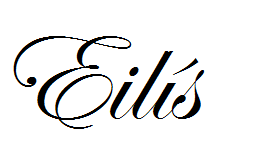 This is going to be a longish post so please bear with me. You don’t have to read all of it, just listen to the songs! I also put in my favourite lyrics from each song. I've put an asterisk beside the MUST HEAR ones. (*). 1. Young Blood - The Naked and Famous. It’s such a feel good song. As soon as I hear the electric guitar at the beginning of the song I start to dance. No matter where I am! The lyrics are instantly relatable. You can crash headlong into feelings for someone, you can fall out of them, that feeling of being young and carefree, you feel the life coursing through your veins. I can listen to this song when I’m happy, when I’m tired or when I’m full of energy. This song is so close to my heart. I remember one night, when I was really missing someone in particular, I listened to this song ten times on repeat. It both helped and made the absence worse. It’s so soft and Ben’s voice is one that soothes me. The lyrics are what really gets me. The emotion in Ben’s voice throughout the song really tugs on my heartstrings, and it’s my dream someday to hear this song live. I'd go as far to say that this song is my all time favourite song. 3. Settle Down - The 1975. Funnily enough Settle Down is a really good song to dance to! When the song starts I find myself moving my head in time to it. When I sing along to the song I sing in Matt’s accent which is really strong. 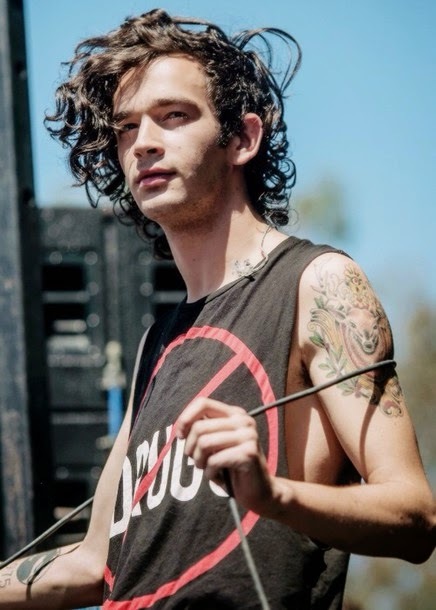 His voice is instantly recognisable, as is any song of The 1975. "For crying out loud, settle down! You know I can't be found with you . We get back to my house. 4. Hear The Noise The Moves So Soft And Low - James Vincent McMorrow. James has a really distinctive voice. This song makes me so happy! For one, it’s sung by a really talented Irish singer. I particularly like the harmonies in the song, they go really well together and it’s just lovely. One thing that makes me laugh about this song is the fact that it’s such a LONG name for a song. I’m a sucker for a good guitar and this song has just that. 5. Please Don’t Say You Love Me - Gabrielle Aplin. I’ve gotten really into Gabrielle’s music the past few months. For one, she’s unreal singing live which is something that is key for me to like an artist. The guitar at the opening of the song is what drew me in when I first heard it. I love the strumming of it, it’s such a simple song yet absolutely gorgeous. Gabrielle’s voice is so sweet and beautiful. I need to listen to more of her music and I recommend people to listen to her. Let's not give the game away"
6. Colour Me In - Damien Rice. Such a sad sad song, but I love it. I listen to it before I sleep at night, especially when I’m up in Limerick. Damien’s voice is so familiar, I’d know it anywhere. It’s such a heartfelt song and I’m surprised that I took to it like I did because of just how melancholy it is, but his voice is so sweet and the strings in the background fit in perfectly with the soft piano and guitar. And then… colour me in”. The guitar in the song, the guitar. I love it. I keep raving about it. I play it for my sister only to be disappointed when she doesn’t freak out about it like I do! I just think it's a really cool song and I need to remember to download it on to my phone to listen to on the bus. Just listen to it and you'll understand why I like it! Slowly dancing cheek to cheek"
I’m after realizing that most of the songs I’ve chosen for this are either sad or emotional! This song is one of the first songs I’ve ever heard of Iron and Wine. It’s such a sweet little song. My favourite aspect of the song is the instrumental part, where the guitar takes centre stage. It’s one of the main songs I play when I want to be calmed down. I'll keep stealing, breathing her". The first song I ever heard of Ben Howard. 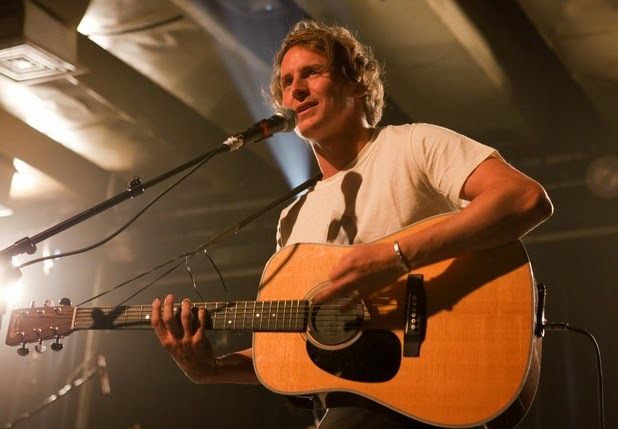 Yep Ben Howard again. It’s the guitar/banging the body of the guitar that gets me again. I adore the song and its music video. I listen to this when I want to be soothed, I listen to it when I’m happy or especially when I’m walking somewhere, particularly the beach. My favourite part is near the end of the song at 3:40 where the lyrics “we grow, grow older still” are repeated and I love the combination of the guitar/drums. Someone from college introduced this song to me. Despite it being 12 minutes long, and completely instrumental, I completely freaked out. It’s insanely good. I think watching the video that I put with the song makes it even better when you see the effort John Butler puts into it. It’s gorgeous and the emotion that radiates from the song is heart warming. I can listen to the full 12 minutes no problem. 11. From Eden - Hozier. This song is so catchy. I can’t stop listening to it and you know it’s good when 4/5 people in your family like the song. It’s such an unique song and I’m normally not used to listening to something like this. But I adore this song. Such great vibes, I can’t stop raving about it. I can listen to it over and over again. I can’t stop raving about this man, I’m so proud. He’s Irish! His voice is unreal, his guitar playing is insane. And this song. Wow. 12. You Make Me Feel- Cobra Starship. Ahhh the one club type song in this group. But it’s just so catchy and its one of my guilty pleasures. I’d be surprised if you didn’t dance to this if you heard it on a night out. I was listening to this while writing this and I’m dancing in my bed. Dancing in bed?! Yep, waving my arms and moving my hips. If I was listening to this in the middle of the lecture I’d be given strange looks because I can’t sit still if I’m listening to this song. Tell me what you want so we can do just what you like". Oh the feels, the feels. I love this song. It’s so good, I have to dance to this song. It’s both happy/sad. It talks about the pros/cons of going into a risky relationship. How you can resist someone though you know that it’s going end badly. It’s best played out loud, rolled up really loudly. It’s in the deluxe version of “1989”. I won’t have a link as Ms Taylor Swift has taken down ALL Youtube videos/Spotify versions of the song. A pity! didn’t you flash your green eyes at me. I felt your arms twisting ‘round me”. One of my all time favourites of Coldplay’s. I particularly, like the combination of drum/guitar. It’s such a simple yet really emotional and sad song but I listen to it at any time of the day, especially if I’m walking somewhere. The beat is infectious. Even while typing this I’m moving my head in time to the beat! The lyrics are beautiful and let’s face it Chris Martin’s voice is instantly recognizable and equally as gorgeous. 15. Snow (Oh Hey) - Red Hot Chili Pepper. I remember after a night out in college, I came home very tired/tipsy. I switched on my laptop and this song came up in my Spotify. I started jamming away to the song at three o clock in the morning. Now I listen to it when I’m sober and able to understand the lyrics properly. I know it’s a really well known Chili Pepper song but I really like it. For some reason it’s both something to get you going and something that chills me out! In between the cover of another perfect wonder and it's so white as snow”. Evil Twin - Arctic Monkeys. (course I'm giggling away at this). Tell Me Again - The Coronas. I Remember - Damien Rice. Say It To Me Now - Glen Hansard. Healing Katniss - James Newton Howard. Whispers In The Dark - Mumford and Sons. Otherside - Red Hot Chili Peppers. 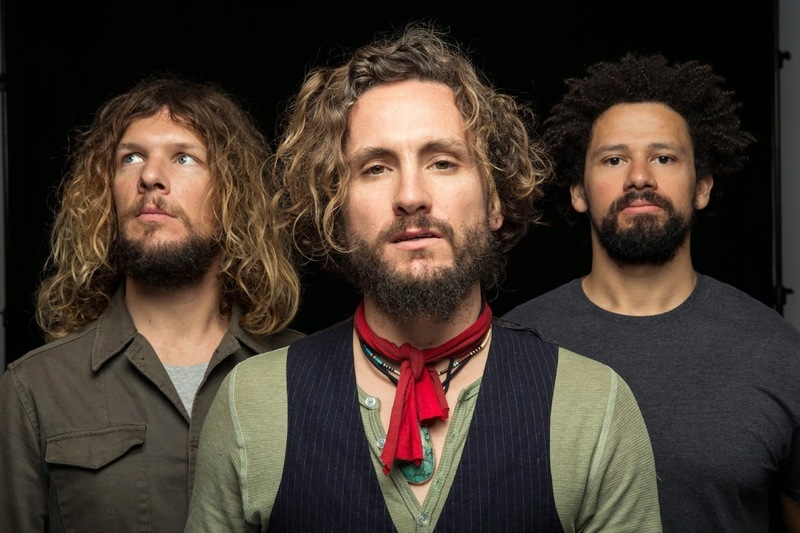 How You Sleep At Night - John Butler Trio. Catch Me If You Can - Walking On Cars. There are so many other artists that I listen to Red Hot Chili Peppers, The Coronas, Alt J, Arctic Monkeys, Biffy Clyro, Queens Of The Stone Age, Bon Iver, Ed Sheeran, Hozier and so many more but I think a 10 A4 page blog post would be uninteresting and it wouldn’t be logical. Finding working links for every song proved to be a challenge, I wasn't expecting it. I hope you enjoyed finding new songs to listen to, or that you’ve enjoyed listening to ones that you already know and love. I think watching the video that I put with the song makes it even better when i see the effort John Butler puts into it and this songs that ill never get tired . I was listening to this while writing this and I’m dancing in my cargo area. Dancing in bed?! Yep, waving my arms and moving my hips. Plainly was listening to this in the middle of the lecture I’d be given strange looks because I can’t sit still if I’m enjoying this song. Nice post. Well music is the only thing that everyone like. I also like guitar music and have made many guitar instruments. If someone is interested to learn guitar or buy it then contact with me. Lose Yourself by Eminem. The flow and rhyme scheme is impacable.